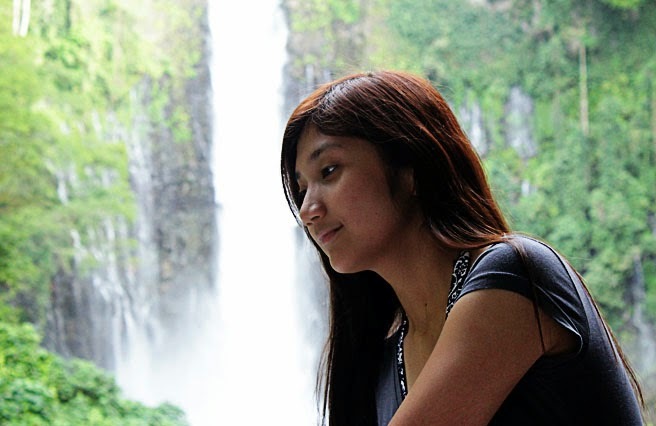 Since my elementary days, I've been introduced on one of the waterfalls in the island of Mindanao that is well known for its natural beauty and also the primary source of electric power in the city. 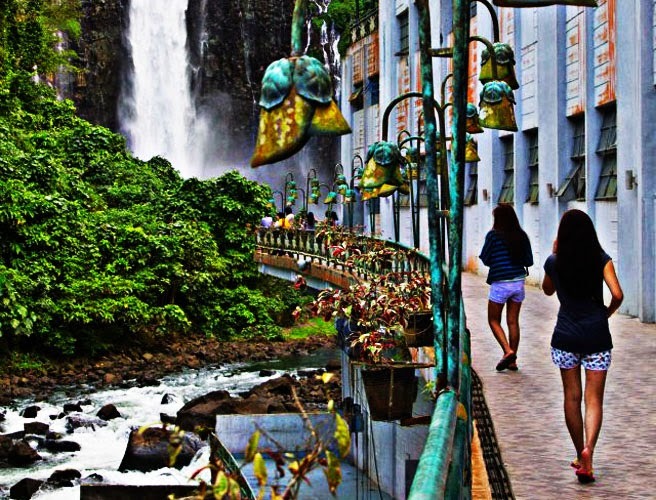 From Filipino textbooks, lecture of our teachers, educational shows, etc., the Maria Cristina Falls is one of the favorites to be mention of or be proud of. And after years of only hearing about this falls, I've seen it finally for real. 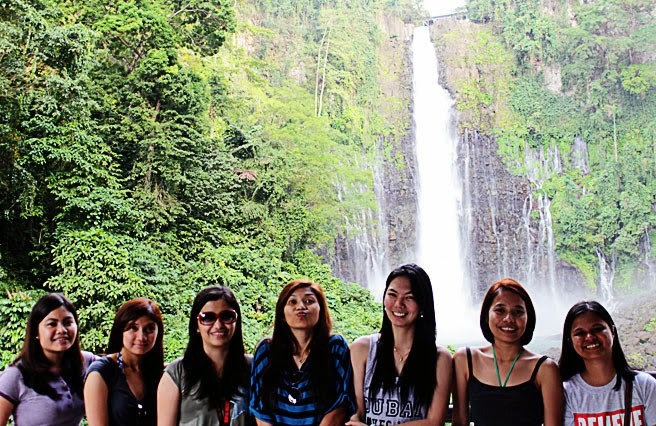 This was during our Cagayan De Oro adventure; we had a chance to do a side trip at Iligan City (named as the city of Majestic waterfalls having more than 20 beautiful waterfalls in the city) where the Maria Cristina Plant is situated. 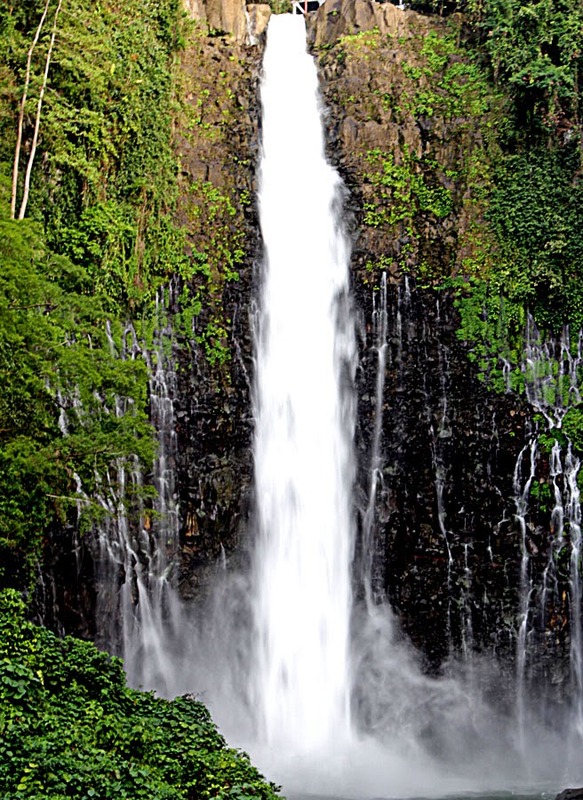 Maria Cristina Falls is sited inside the National Power Corporation (NPC) Nature Park. The park was developed for additional recreational activities just beside the falls. It’s just a simple park like a mini zoo,there are cottages where you could have picnic, and other adventures like zip line. However, we weren’t really able to go around the park because it was closed already when we got there. The park is only open from 9AM – 4PM. In our case, we have availed a tour package for our Cagayan De Oro adventure in which we had a side trip to Iligan City. So we were only picked up by a van and directly went to Maria Cristina falls that took us about a 2-hour drive from Cagayan De Oro City. But if you are on a DIY trip, from Cagayan De Oro City, look for a Bus which is en route to Iligan City. Travel time would be around 2 hours. Then you will be drop off at Iligan bus terminal. From there, ride a jeep going to Iligan City proper. Then you could tell the driver to drop you off somewhere that you would be able to ride a Buru-un bound jeep. Then ask the driver to drop you off at Agus River. Travel time would be around 30 minutes. 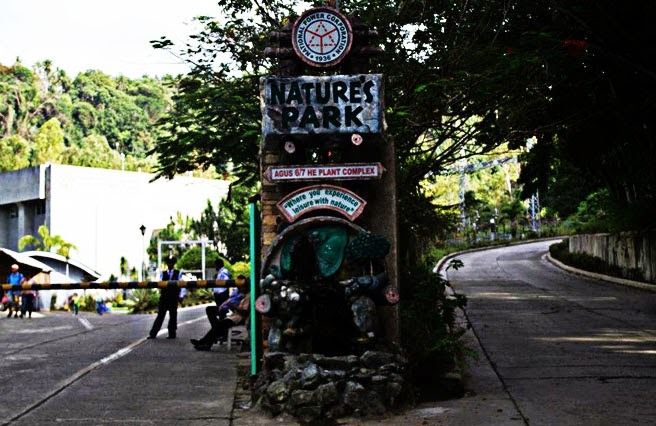 From there, you can walk and follow the sign to NPC Nature Park where the Maria Cristina Falls is situated. As we got there, we noticed right away the falls. It’s really a huge one which stands 320 feet high. It is sometimes called the “twin falls” because on the edge of the waterfall, the two flows are separated by a rock. But as you've seen on my picture, there is only one flow as the locals there told us that you could see the two flows or the actual full blast usually on Saturdays – Sundays. 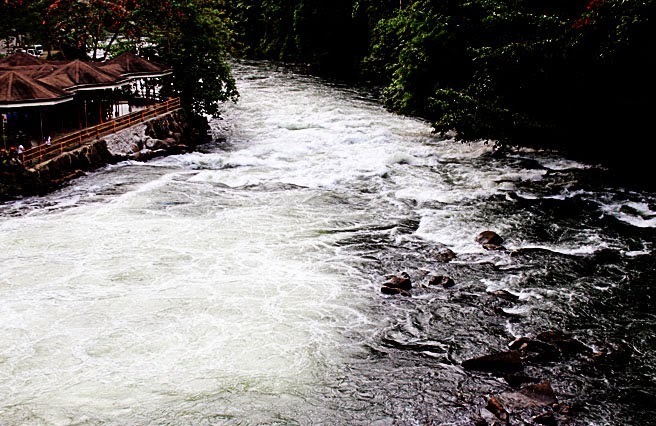 Then there is the strong current of Agus River, that is actually because of the force of the waterfalls that will eventually move towards the dam. And this would be brought under control of the Agus VI Hydroelectric plant which is operated by National Power Corporation (NPC). And this generates almost 70% of Mindanao’s electricity. Also, because of the strong current of the water, swimming is strictly prohibited in the falls. Then around the Maria Cristina Plant, we were allowed to go up to NPC’s viewing deck at the third floor of the building to witness closer the Maria Cristina Falls. 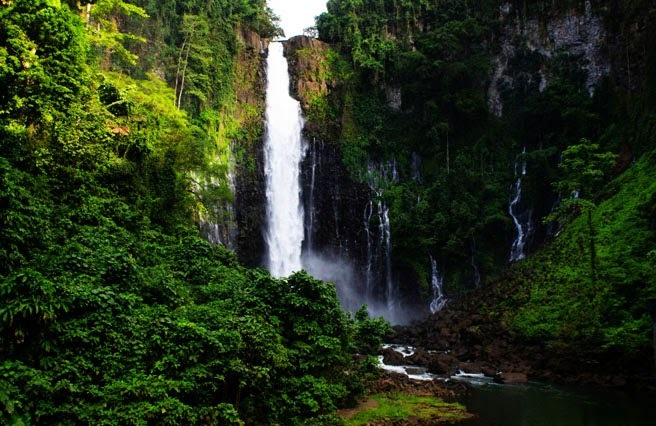 Maria Cristina Falls is indeed one of the Philippines most spectacular sight. I was really amazed by its beauty and stunned on how powerful it is. This was really a dream sight. When you visit here, you just don’t get to see a waterfall, but you’ll appreciate truly the gift of nature to the mankind.